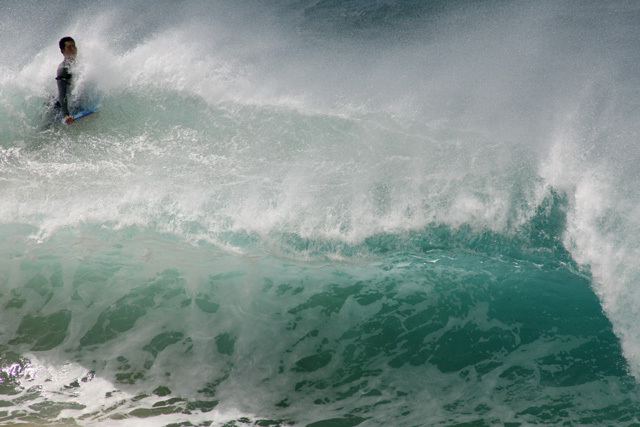 A local body boarder braves the nasty shore break at Sandy Beach. the surreal feel to this makes it one the best of this challenge. Minimalist approach works well in this image although I'd wager you'll get comments on the surfer being too far left. ;^) Nice water spray. Good luck in the challenge. Proudly hosted by Sargasso Networks. Current Server Time: 04/26/2019 09:41:14 AM EDT.